And then she paused, if only to reflect on what she had just done and whether she was comfortable with the challenges that come with setting such a punishment. Unfortunately, this is becoming standard practice among parents. As much as they hate watching their children becoming couch potatoes and gaming addicts, as much as they wish that they could get their attention quicker and steer them away from these distractions when it’s time to do homework, they have come to rely on it for peace and quiet. Here this mother had the perfect punishment for her son’s terrible exhibition. Following through would certainly be a “game changer.” It would make the statement that if you want to misbehave like that in public again it may come at a major price. But no, this parent wasn’t prepared to risk ruining the rest of her Sunday for the sake of this statement. She probably wanted her son to be out of sight and mind for the rest of the day and there was no way that was going to happen with the punishment she nominated. 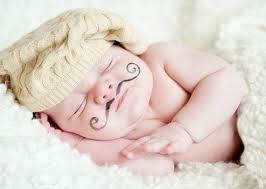 I am not trying to judge this parent. We have all breathed a sigh of relief as our child has camped in front of television or computer screen at some stage. I am merely commenting on the stranglehold this technology has over parents, children and families. Whenever teachers dispense parenting advice, the outcome is almost never a positive one. As much as I agree that children who are exposed to violent movies and video games are worse for it, I think it is essential that teachers spend less time judging parents and more time concentrating on the curriculum. “The watershed tends to work quite well, but with online TV and video children and young people are probably watching inappropriate content over a range of media,” she said. It would be great to share criticisms with parents without fear of reprisal. But, in my experience, the importance of having parents on side means that these criticisms can interfere with a healthy parent/teacher partnership. No matter how advanced technology becomes, nothing will stop us from needing human contact and real interaction. You might be able to stockpile Facebook friends, but nothing can replace the loyalty and support offered by a real friend. Sometimes I feel that we have allowed ourselves to live in glass cubicles, shielded from real people, real conversations and real experiences. The same technology which was devised to bring us closer together has been misused and ultimately, has kept people out. 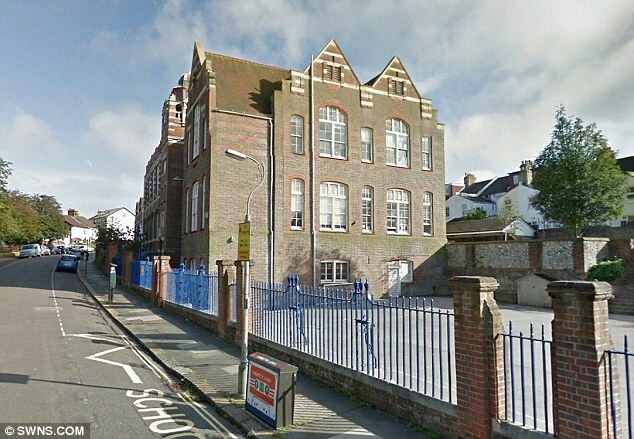 Teachers have been instructed to keep emotional distance from their students, the local small business operator who cared about his/her community as much as their bank balance, has been replaced by people not interested in the place where they work or the people who frequent their establishment. People are much less likely to say things like, “I just met someone on the train. We got talking and she told me all about her interesting life.” The only talking on trains is via mobile phone. Is this really a natural way to live? Is this how we want our children to grow up? Are we really surprised to read that children don’t play with other children like they used to? A new study that found almost 50 per cent of kids don’t play every day has prompted an expert’s warning about a generation of depressed and anxious youngsters. The study, hailed as the first of its kind in Australia, carried out a total of 1397 interviews, including 344 with children aged between eight to 12. About 40 per cent of them said they don’t have anyone to play with while 55 per cent say they’d like to spend more time playing with their parents. Forty-five per cent said they were not playing every day. The MILO State of Play study, which also interviewed 733 parents and 330 grandparents, found that more than 94 per cent of them believed play was essential for child development. “The longer we de-prioritise it, the more likely we are to have unhappy and inactive Australian kids which are more likely to be anxious and depressed, resulting in a raft of social problems in adulthood,” she said. Dr Barrett said unstructured, active play was essential to help children learn important life skills, develop imagination and creativity. “This finding highlights a concerning yet common misperception that many parents share – they dont think that kids need to play regularly after the age of eight,” she said. Many will criticise me for drawing a parallel with the state of society and the development of new technologies. Of course technology isn’t solely to blame for a lack of real and personal interactions. But let’s face it, they have made the issue more serious. Just look at the advertisement above. Do we really want life’s pleasures to be about how nifty our touch screens can become? In 2005 a landmark movie was released entitled, Crash. 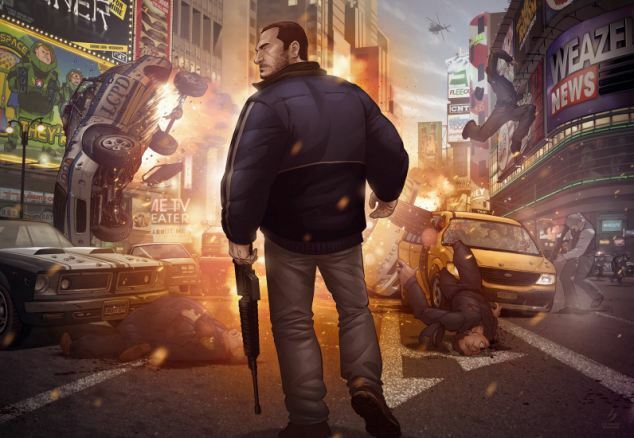 It depicted New York as a place where people are too insecure and selfish to interact with others. The only way a person can have any dialogue with a stranger is if they, quite literally, crash into each other. Our children need real friends, not Facebook friends, they need play dates not peer-to-peer gaming sessions and they need the adults in their lives (including teachers) to scrap any notions of emotional distance and become engaged. Let’s tear down the barriers and bypass the touch screens and actually … talk with each another! Are Children Getting Enough Sleep? Kids seem to be looking and feeling mored tired than ever before. It is a common complaint of our modern age that kids and teens don’t get enough sleep. Video games, TV, social media, and other trappings of our increasingly tech-centric lives are often blamed, but a new study shows that long before Facebook or PlayStation 3, kids were sleeping less than experts said they should. When researchers in Australia reviewed sleep recommendations and actual sleep times among children over the past century, they found that kids consistently slept about 37 minutes less than recommended at the time. Each time, new technological marvels — be it the light bulb in the early 1900s, TV in the 1950s, or computer gaming systems and social networking today — were blamed for declining sleep times. “The message that children don’t get enough sleep has been the same for over 100 years,” says researcher Tim S. Olds, PhD, of the University of South Australia. I wonder if children today experience a different form of tiredness. A tiredness as a result of late nights, a lack of physical exercise, a carb dominated diet and excess weight. Perhaps the tiredness is the same as always, but the presentation of the tiredness is more extreme. 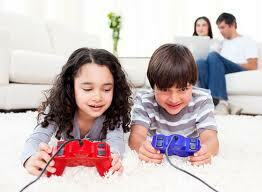 Excessive video game use and high rates of video game addiction lead to much anguish from concerned parents. Many parents never saw the addictive pull of video games as an issue when they bought consoles for their kids or allowed them to have a computer in their bedrooms. 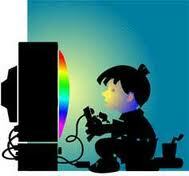 I read a very interesting piece by writer, Scott Steinberg, on the major issues relating to children and video games. The issue of particular interest to me was the video game addiction section. Video game addiction is not a term we hear very often, but I’m afraid it will be widely familiar in the next few years. I urge parents to spot the signs before the addiction gets completely out of hand. It may even be worth reading Mr. Steinberg’s book, “The Modern Parent’s Guide to Kids and Video Games,” which will be free to download at www.ParentsGuideBooks.com in February 2012. 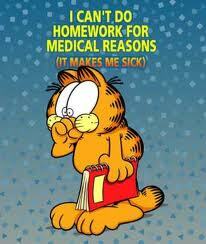 I was once strongly opposed to homework, but I have since softened my approach. It’s not that I believe homework is a good thing, it’s just that I have observed what children do withn the extra time and I can’t say it’s productive. Quite apart from playing in the backyard or walking the dog, kids are more likely to spend their waking hours on the computer or watching television. Whilst experts believe abolishing homework will free up time for healthy activities, the truth is that it will only result in more time in front of a screen. CHILDREN are spending too much time “sitting around”, looking at screens and doing homework, when they should be outside playing. New Deakin University research suggests parents should encourage children to play the old-fashioned way outside with mates rather than nagging them to complete homework or allowing them to watch TV or use computers, the Geelong Advertiser reports. Associate head of research at Deakin’s School of Exercise and Nutrition Sciences, Professor Jo Salmon, yesterday said pushing kids outdoors to play would help improve the health and happiness of children. Parents needed to set rules around the amount of screen time children were allowed every day, and enforce a limit of two hours in total, Professor Salmon said. They should also try not to place too much academic pressure on their kids and recognise that playing outside and being active was probably better for children than sitting inside practising spelling or sums. While previous generations of children would come home from school, have a quick snack and then head straight outside to play until dinner time, most children now came home from school and propped on the couch, their bed or at a desk, she said. Recently named one Australia’s top child health researchers by the National Health and Medical Research Council, Professor Salmon said while she was an optimist by nature, she was concerned for the future health of Australian children. I was once an optimist too. I hoped that instead of homework, my students could help wash dishes or take on some other household duties. I hoped they could go to the library and borrow books. But that is not what happens in reality. So I am now faced with a choice. Do I prescribe homework that serves as revision for skills taught during the week in class or do I just let them use the extra time for more television and video games? 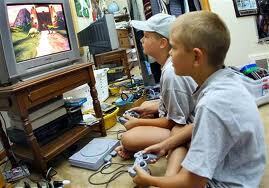 Video Game Addiction is Real and Very Serious! I am not one to use therm “addiction” lightly. Many would dismiss video game addiction as merely a bad habit or a product of an anti-scocial personality, but it is very real. 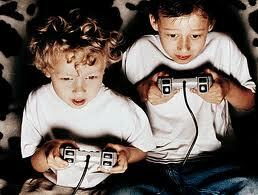 Video game addiction can take over a child’s life and deeply affect their relationships, schoolwork and daily routine. 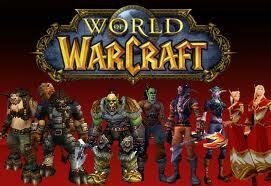 With role-playing games such as World of Warcraft now in vogue, the video game addiction has become far more serious. Because these games have no designated end point, the game goes on indefinitely. This means that kids struggle to put the controller down in order to eat, sleep or even go to the toilet! In fact, in 2007, a Harris poll found that 8.5% of youths between the ages of 8 – 18 in the United States could be classified as video game addicts. It is absolutely essential that parents are aware of the consequences of an addicted child before the odd game of World of Warcraft and games of its type, become an obsession. Parents should not feel that copious hours in front of the computer amounts to innocent fun. Yes, gaming addiction is better than drugs. But not as much as some parents may think.